The IMG General Practice department is responsible for furthering the careers of IMG doctors seeking to work in general practice in Australia. There are courses and programs suitable for IMG doctors embarking on their career as a GP along with highly experienced international general practitioners. Through the department’s courses and programs, candidates are provided with the knowledge, experience, and guidance to successfully gain Australian registration. 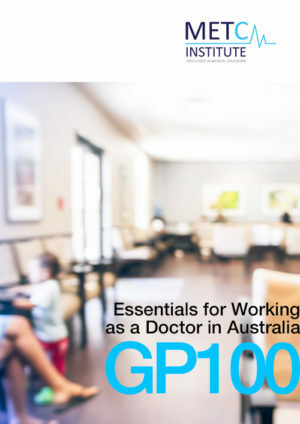 The IMG general practice programs are innovative via their provision of clinical experience along with salaried positions and – in some instances – guaranteed employment. In addition, the IMG general practice department programs are supported by an experienced GP faculty. The general practice division of the METC Institute is a specialist clinical academic unit responsible for the further development of general practice in Australia. The division provides support to current and future general practitioners in the areas of career development, clinical skills, and administration and business development. 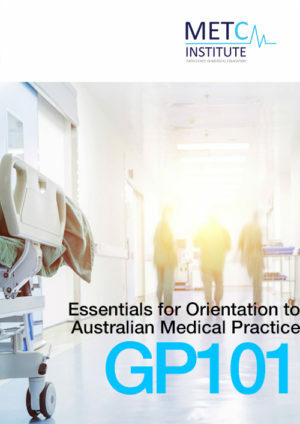 The General Practice Experience Pathway Registrar Training Program (GPE Pathway Registrar Training Program) is a world-class vocational training program for international medical graduates (IMG) who are already experienced General Practitioners. 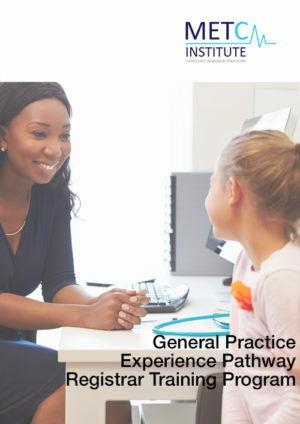 The GPE Pathway Registrar Training Program offers the only structured, formalised program, to allow international General Practitioners a training pathway to attaining specialist registration in Australia as a specialist General Practitioner through Fellowship of the Royal Australian College of General Practitioners. 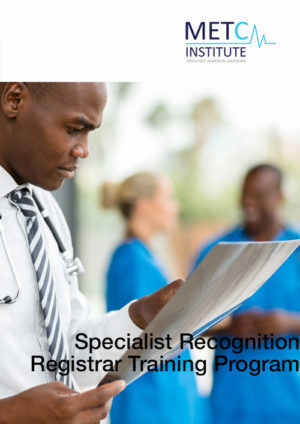 The GPE Pathway Registrar Training Program provides vocational training in AGPAL (Australian General Practice Accreditation Limited) or QPA (Quality Practice Accreditation) accredited General Practice positions, combined with formal teaching to prepare registrars for the RACGP Fellowship Exams. Registrars completing this program also receive a competitive salary from employment in an accredited General Practice. The SRP Registrar Training Program is only available for International Medical Graduates (IMG) who are already experienced General Practitioners with a valid Comparability Assessment from the Royal Australian College of General Practitioners (RACGP) with ‘Substantially Comparable’ or ‘Partially Comparable’ ratings.